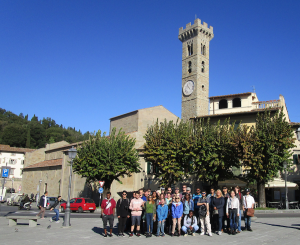 Beacon in Tuscany presents a select cohort of Beacon students with an unforgettable opportunity to study in the cradle of the Renaissance. 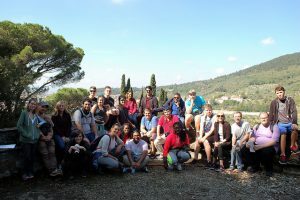 Our academic host is the Prato campus of the prestigious Università degli Studi di Firenze. Each semester’s coursework is organized around a central theme, with instruction provided by both Beacon faculty and local educators and experts. Students live and study in the heart of this medieval city, with regular trips to various historic and contemporary sites of interest. Join us for a chance in a lifetime to further your global education! Prato is just a 25 minute train ride from Florence, with ready connections to the entire Italian rail network. Students are housed at the Hotel Giardino, a 19th-century hotel seated at the foot of Monte Retaia, facing the central Piazza del Duomo (cathedral square). The included meal plan allows access to 25 restaurants in Prato. Fall semester courses leverage the rich cultural backdrop of Prato, Florence and other Italian cities to expose students to all things Italian, ranging from interpersonal relationships, traveling the nation, and Italy on the big screen. These new experiences are made especially relevant through guided exercises in writing and critical thinking.